Wound care coding and billing carries unique challenges compared to other specialties, as wound size, depth, and severity must be properly documented to report the most accurate ICD-10-CM and CPT® codes. With fiscal year 2019’s new ICD-10-CM codes for obstetrical wound infections and post-procedural infections, coders’ jobs have become even more difficult. Wound care clinics are also facing increased scrutiny from Medicare auditors and the Office of Inspector General regarding the reporting of debridement procedures. During this 90-minute webinar, Gloria Miller, CPC, CPMA, CPPM, will review the latest ICD-10-CM and CPT codes and coding guidelines applicable to wound care services. Miller will discuss best practices for wound care documentation, coding, and billing, as well as efforts by CMS to identify and correct for improper payments. She will also explain how to find available Medically Unlikely Edits (MUE) for certain procedures and provide in-depth answers to frequently asked questions. 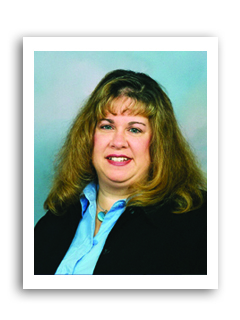 Gloria Miller, CPC, CPMA, CPPM, has worked as the vice president of reimbursement services at Comprehensive Healthcare Solutions, Inc. in Seattle, where she assisted hospitals with correct documenting, coding, and billing for wound care and hyperbaric oxygen services. She has many years of varied experience in healthcare reimbursement, including durable medical equipment, hospital billing, skilled nursing facility billing, and infusion pharmacy billing.